Are you ready to start organizing your life? 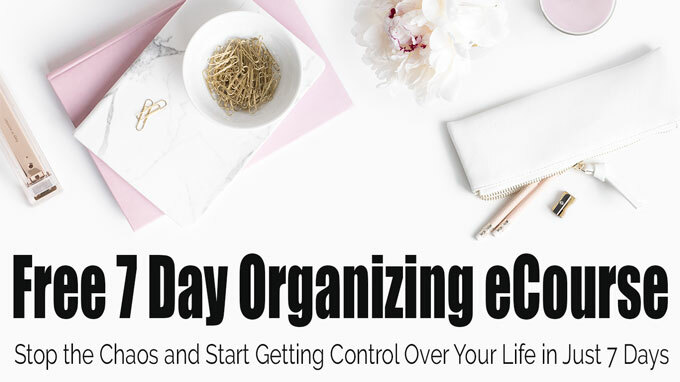 My FREE 7 day eCourse will help you gain control over the chaos! In just 7 days I’ll share some life-changing tips and routines you can incorporate into your days to help you get organized! You don’t have to be born naturally organized to get control of your home and life once and for all. Let me share the simple habits and steps that you can easily learn to streamline your home organization, saving you time and energy.